Own It Now on DVD! CONCRETE CIRCUS, Directed by Mike Christie, is a mind-blowing channel 4 OD short films production. The CONCRETE CIRCUS movie, filmed in various parts of the United Kingdom, is one of the best sports movies to bring together the biggest action sports stars in extreme BMX stunt games, skateboarding games, and the free run game. Unlike other extreme sports movies, Concrete Circus actually focuses on the main characters and how they have honed their skills overtime. Concrete Circus allows viewers to obtain a unique prospective on the men that choose that perform these infamous stunts as a regular profession. CONCRETE CIRCUS is a movie that is part of the HD documentaries series that follows famous sport stars from the extreme sports world within the United Kingdom. Concrete Circus allows the viewer to see the best street sport stars engage in some of the world’s most dangerous sports and extreme activities. 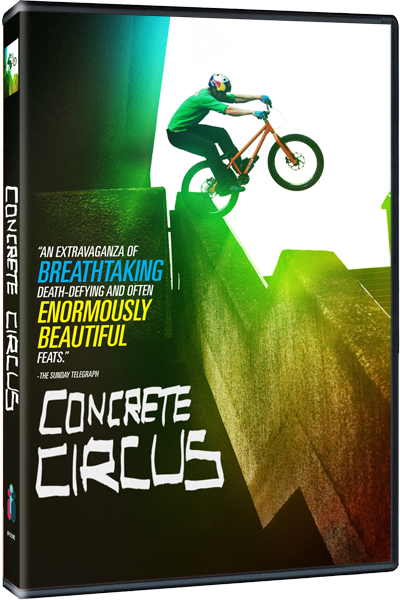 With the help of the extreme sports filmmakers shooting some of the most beautiful and dangerous skateboard stunts, bicycle tricks, and free running it is no wonder that Concrete Circus was rated one of the best action packed sports movies of 2012. What sets Concrete Circus apart from other sports movies is that the movie not only highlights extreme sports stars performing an infamous stunt list, but also highlights how these stars have mastered their complex moves. Concrete Circus gives in depth, but brief summaries on how Danny MacAskill, Paul ‘Blue’ Joseph, Keelan Phillips, Kilian Martin, and Mathieu Ledoux have honed skills while developing professional careers in extreme BMX, parkour, skateboarding, and rollerblading. Another fact that sets Concrete Circus from other sports movies is that Concrete Circus is actually filmed by real extreme sports stars. Mike Christy chose to have the movie filmed by real extreme sports stars not only to in order to have the audience capture the best angles, shots, and close ups. As a result the audience is able to capture the essence of extreme sports as a whole. Never before has a sports film been able to capture some of the most mesmerizing and often death-defying extreme sport action that push the limits of possibility within Parkour, skating boarding games, urban trial bike stunts games, and BMX bike stunt games. While other extreme sports movies display grossly over exaggerated stunts, the spectacular CONCRETE CIRCUS movie finale displays a non-stop action packed ride with the best skateboard extreme stars, bike stunts games stars, and free running Parkour stars on screen for the very first timeIn CONCRETE CIRCUS the viewer is able to delve into the lives of extreme sports stars and why they do what they do. 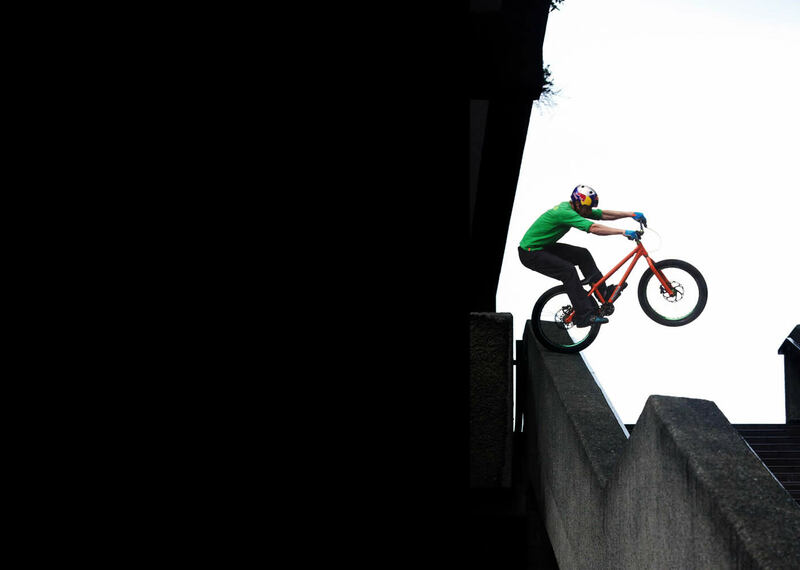 Although street trial riding phenomenon Danny MacAskill has ten million plus views on youtube, there is not a sense of what motivates him, where he is from, and why did he chose to BMX over other sports. Concrete Circus answers these questions and more with it’s in depth but brief summaries of its main stars. 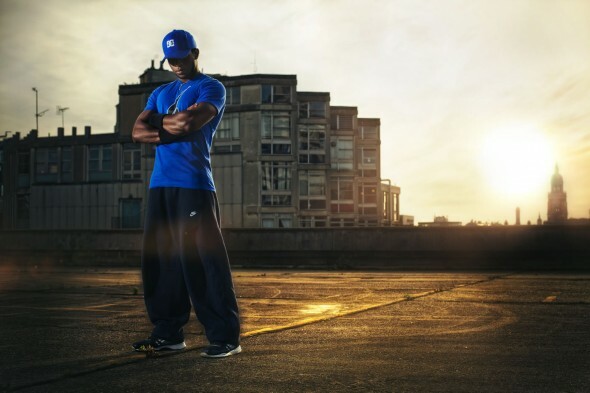 In addition, viewers can also learn about freestyle skateboard professional Kilian Martin, BMX flatland professional Keelan Phillips, Parkour professional Paul ‘Blue’ Joseph and free running Parkour moves specialist Phil Doyle. Concrete Circus allows the audience to see a list of skateboard tricks by Kilian Martin like the 360 pop shove it, and stunt bicycle tricks performed by Keelan Phillips like the Fufano. The Concrete Circus movie allows the audience to see one of Keelan’s favorite moves, the BMX flick trix and the BMX backflip that took Keelan years to learn and master as well; and the same can be said for the skateboard moves that Kilian Martin performs..